France in London | Ladies... action! Times are changing in French cinema, and women are getting to shout ‘action’ at last! If you want to get some idea of the extent of the impact women directors are making in French cinema and how significantly this has changed here are some illuminating statistics: in 1988 in the dictionary 900 cinéastes français d’aujourd’hui only 66 were women, and in my collection of just over 1500 French films I found that from 1895 to 2000 while I have only 50 made by women. Since 2000 I already have 47! It is still only 10% but it looks like a sea change from the last century. It is difficult to pin down any single factor but I suspect this is mainly due to the historical inevitability of women demanding their rights and specifically the growth of women’s activism in the 1960s and 70s that led to a generation of daughters unwilling to take a back seat in any aspect of French life whether as presidential candidates or film directors. And just as it is no longer rare to spot a French man pushing a buggy we also see in France a growing unwillingness amongst women to be patronized or discriminated against. For example last month seventeen female ministers or former ministers signed a declaration opposing the harassment they had faced in their professional lives. While the French film industry has generally been open-minded, liberal and happy to embrace new ideas it has also been dominated, at least behind the camera, by men. In a recent interview with The Guardian Lucile Hadzihalovic remembers her time at film school, La Fémis, in the 1980s “perhaps 80 % of my year was girls”, she says, “but very few went on to make films, I don’t know why”. Strangely this wasn’t true in the early days of French film. During the silent era there were some very prominent directors such as Germaine Dulac but with the coming of talkies women directors seemed to evaporate. Eventually in the 1950s some pioneer women began to return to directing. Agnès Varda was a rare post-war pioneer with her 1954 Pointe Courte and a distinguished career that has made her the doyen of French women directors. Slowly others followed in the 1970s. 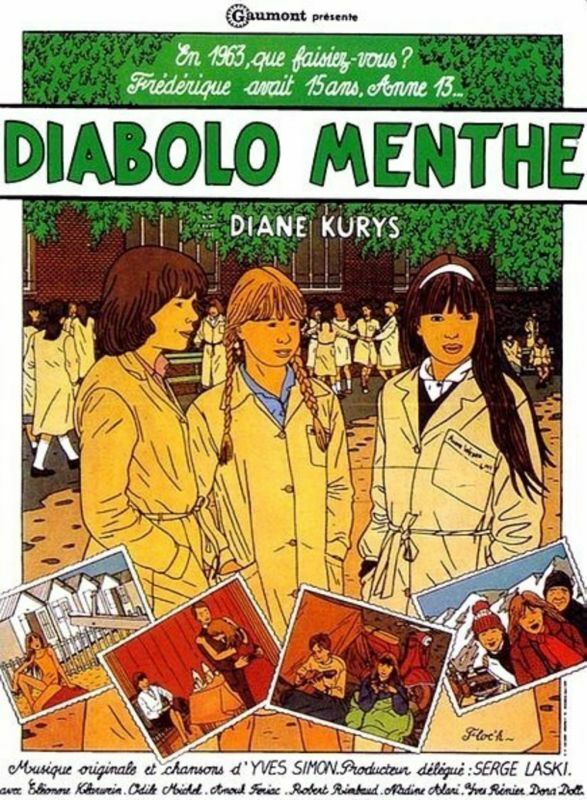 Diane Kurys (Diabalo Menthe), Claire Denis (Beau Travail), Catherine Breillat (Romance), and some of its women stars were able to use their knowledge and prestige to make the break, Jeanne Moreau and Josiane Balasko for example. 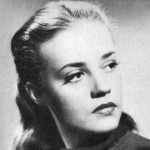 Others had major hits such as Coline Serreau with Romuald and Juliet (Romuald et Juliette). They became role models and the French film schools started turning out more ambitious young women unwilling to play supporting roles to their male colleagues. By the start of this century it was no longer rare to find a woman’s name as director. Why is this important for the health of cinema? Because cinema, like all arts, benefits from a variety of backgrounds, life experiences and voices. Films directed by women should be a given. Of course women were never really absent, whether acting or writing stories and scripts they were part of the business and the job of editing, unlike in the UK, was dominated by women. But directors are key to cinema’s identity. They bring so much more to bear on the tone, themes and subjects of films. Directors will option stories, commission scripts, they cast actors and approve the final edits, they will see the world from their own point of view. And this doesn’t mean women directors have to be stuck in a female ghetto making films about the oppression of women! This has not been the case but we are far from a position where the next box office hit is as likely to be directed by a woman as by a man. There are certainly themes and subjects that women directors favour, in particular the role of women in society whether in professional or personal lives. There are also subjects that only women can experience through nature, motherhood for instance. The films’ themes are often more universal but seen from a woman’s perspective or set in womens’ spaces, a beauty parlour in Venus Beauty Salon (Vénus Beauté) by Tonie Marshall or a hairdressers as in Nadine Labaki’s Caramel, but women directors, like their male colleagues make films that look at the usual big subjects: "love, hate, death, in one word emotion" as Sam Fuller once famously said in Godard’s Pierrot le Fou. Conversely many men have made films with women’s issues in the foreground. The work of Abdellatif Kechiche with Couscous (La Graine et le Mulet) or Blue is the Warmest Colour (La Vie d'Adèle) for instance. As a random thought it would be an interesting experiment to show an audience ten clips and see if they could guess the gender of the director! So thanks to the pioneering women who have helped create a better richer cinema that we can all enjoy. Long may it last. Jon Davies is the tutor of French Cinema at Morley College, who runs classes in several venues around London (more info here). Jon will introduce The Brand New Testament (Le Tout Nouveau Testament) for the 20th anniversary of French Impressions at the Watermans on 25 June. Merci pour cette charmante compétition très intéressante, qui incite à la réflexion !